HWH Stable's owner and instructor Chris Fenech conducts all lessons and clinics providing students with relevant theoretical knowledge and practical skills that will cover both Horsemanship & Riding techniques that can be applied in a variety of equine disciplines for leisure, sport and work. 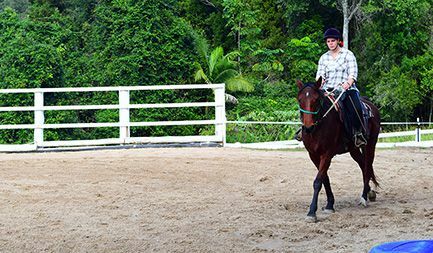 From the arenas to the obstacle and jump courses to the local Rainforest, Rivers and Boambee Beach. 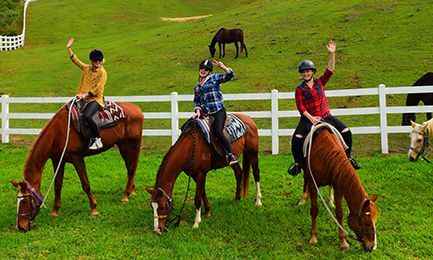 HWH Stables offers a comprehensive introduction to the world of horses that is geared toward creating confident, athletic and strong riders with an all-round knowledge of horsemanship and the necessary care of horses. ** All Clinics are conducted one-on-one with each client. ** Clinics can be provided at client’s own property at an additional fee to cover time and transport. 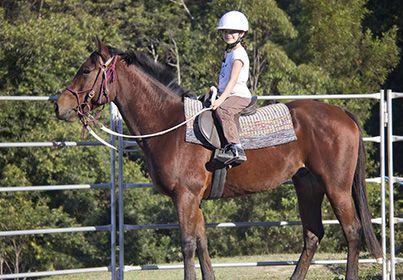 ** 90kg weight limit applies when using HWH Stables horses for clinics. ** 70kg weight limit applies when using HWH Stables horses for jumping.